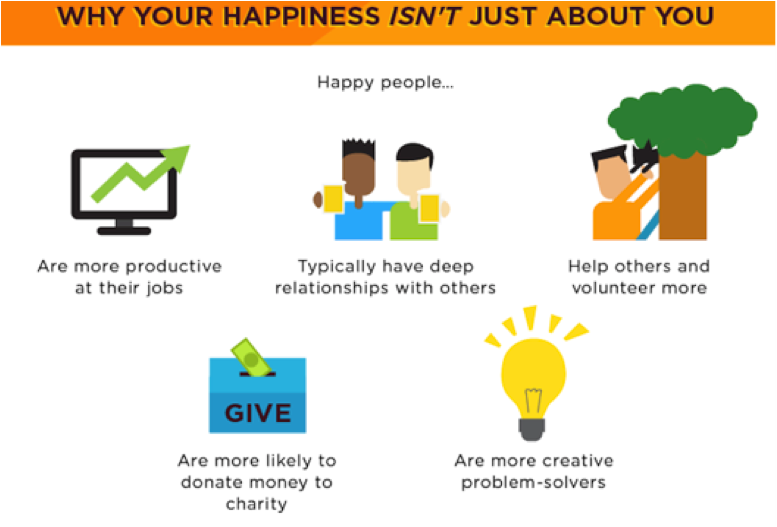 If you’re looking for happiness, research shows that having more money won’t make a bit of difference. Essentially, a certain income level (approximately $40,000 here in the U.S.) is necessary for food, shelter, and preventing daily worries. Research shows that once you have reached that basic level of financial security, making more money is unlikely to lead to better days. If you truly want happiness and fulfillment in your life, your focus must switch from “getting” something to “giving” something. Putting other people’s interests first and continually adding value to their lives ultimately leads to unexpected returns. There’s absolutely nothing wrong with making money (or wanting to make money). But it’s just not a goal that will make you successful—or happy for that matter. Yes, we obviously have to promote other products and services in order to feed our families and pay the bills…but that’s not our goal. Our goal is to SERVE OTHERS. Your TRUE worth is determined by how much more you give in value compared to what you take in payment. That’s why here at Get Lean In 12 we always do our best to go above and beyond—and over-deliver on value. Your income and rewards in life are determined by how many people you serve and how well you serve them. If I continually focus on this one goal, the money aspect works itself out automatically (and I’m helping more people at the same time). Our goal everyday at GL12 is to put the wants and needs of our customers and followers FIRST, which is one of the primary reasons we pride ourselves on having the BEST customer support in the industry. This is how I can give of myself FULLY without holding back. All the giving in the world won’t bring success or create the results you want if you’re not willing to receive back a big part of what you’ve given. 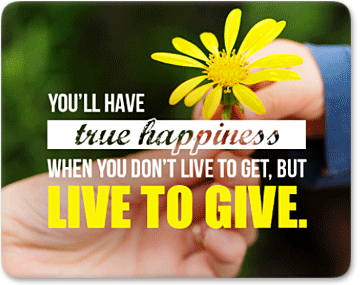 The more you give… the more you receive.